This website is for both existing patients and those considering registering with us. It tells you about the services we provide, how to access them and some general information about how our practice operates. Please see our Practice Brochure for further details. We always welcome new patients. Please click on the link to see if you are in the practice’s Catchment Area. Free Wifi is now available for patients and visitors. Please follow the Connect to NHS WiFi instructions to access this. Please take a look at our Spring 2019 Newsletter for new information, advice and tips for the season. We strongly support the NHS zero tolerance policy. Anyone attending the practice who abuses the GPs, practice staff or other patients, be it verbally or physically, will risk removal from the practice list. The practice is committed to the control of infection within the building and in relation to the clinical procedures carried out within it. Please see our Infection Control Policy for more detailed information. The average pay for GPs working in this practice in the last full financial year was £59,726 before tax and national insurance. This is for one full time GP, three part time GPs and one locum GP who worked in the practice for more than six months. Our primary health care team are committed to provide our patients with a high quality, effective, safe, caring medical service and advocate best practice in the delivery of this service. We will continue to be an innovative organisation with a culture of continuous quality improvement to all the services we provide. We aim to be attentive and compassionate to the needs of our patients, and treat all patients with dignity and respect. We will respect patient choice and involve patients in shared decision making, ensuring they are guided to the correct service choice. We have a committed clinical and administration team, working in an encouraging and learning environment that enable all staff to reach their potential. For medical help outside of normal hours ring 999 in an emergency or 111 for same day advice. Consultations with our practice team are by appointment only. We try to ensure that all patients are offered a consultation within 48 hours. If you wish to see a particular GP or nurse then you may have to wait longer. You can make an appointment by phone, by visiting the practice or online. When you contact the surgery to make an appointment, our receptionists may ask you what the problem is. Please do not feel offended by this; the reception team are trying to navigate you to the most appropriate person to deal with your problem. At times patients are booked in to see the GP when a telephone consultation may have been more suitable or an appointment with the practice nurse or health care assistant. We understand that on occasions you may not wish to disclose such information which we understand. We are as a practice trying to avoid the unnecessary use of GP appointments and minimise inconvenience for our patients. To use our online appointments and prescriptions service you need to register directly with the practice. The receptionist will give you an “access pin” document which will have your registration details on such as your access pin and ID numbers. Set up is easy and will allow you 24/7 access to book and cancel appointments and order your prescription online. When you have received your registration document click here to access the online service. 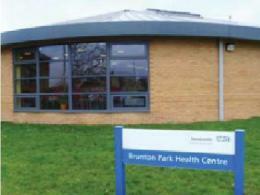 Out-of-hours services are available when the practice is closed, during the hours of 6.30 pm – 8.00 am. Practice polilcy is if patients fail to attend 3 appointments we will ask you to come into the practice to discuss the reason. If you need regular medication on prescription, your doctor will usually organise a repeat prescription for you. This can then be ordered at set intervals without seeing the doctor in person. If you are a new patient to the practice, we will need to see you in person first to arrange this service. Repeat prescriptions are normally issued on a monthly basis and can be ordered between 9.30 am and 4.30 pm weekdays. Please telephone our main surgery line. Alternatively, you make your request in person or by post. Please note that we do need 48 hours to process this for you. The prescription is passed to your usual GP for checking and signing. The GP may ask you to make a routine appointment for review from time to time, and may occasionally not issue the prescription until this has occurred. Once completed, the prescriptions may be collected from our reception desk. Alternatively, if you supply a stamped addressed envelope, we can post them back to you. Several local pharmacies also provide a collection service. Ask at reception for further details. To order a repeat prescription via the online service, please use the link to the left ‘Online Appointments and Prescriptions’. You will need your log in and password to access this service.